When we start our researching our family tree, one of the first things we want to know is how did our first New Zealand ancestors get to this country? For many of us, that means looking for passenger lists of the 19th or early 20th centuries. The problem for the new researcher (and sometimes the more experienced with a brick wall) is that there is no one-stop shop for this information - it is scattered amongst a range of sources, some on the Internet and some not; some in NZ and some overseas; some in published hard copy, but most not. Knowing where to look, and what to look for, is quite a task. So today I want to discuss some of the best resources that I know of as a librarian, in the hopes that they may help someone make that new discovery or breakthrough. ﻿﻿﻿﻿﻿﻿﻿﻿Firstly, a little history about immigration to NZ. There were different immigration schemes that operated at different times and places, and the kinds of records that they left behind vary greatly. A list of sources on this complex situation, can be found among the research guides available on the website of Archives New Zealand. On a first look-through, the list of possible sources seems a bit overwhelming, particularly if you only have a vague idea of when and where your family first showed up in New Zealand. So, the key is to work on that question of "when and where" till you have as accurate an idea as you can of the answer. Look at electoral rolls, post office directories, and records of birth, death and marriage, to establish a timeline and location. Once you know that, check to see what resources exist for the nearest port, in the time period they first appear. As a rule of thumb, it is best to assume that people settled somewhere in the vicinity of their port of first entrance to NZ. This of course was not always the case, but it happened frequently, so start with that assumption till proven otherwise. Many libraries or museums around NZ have worked to develop indexes of passenger arrivals based on their local port. For many, the records available for the purpose were mostly the passenger lists published regularly in the local paper as ships arrived in the port, supplemented with any official sources they have been able to access. Some of these indexes are now available online. Examples of these are AUCKLAND, TARANAKI, WELLINGTON, CHRISTCHURCH, and NELSON. WARNING. It is always tempting to just jump in when searching a newly-found database, but you are not helping your research efforts at all if you don't also read about what it contains (or doesn't!) and how it is arranged. You may be missing some vital piece of information and not getting a hit on your search because you didn't know some fact that was explained in the introduction to that database which you skipped in your excitement. BE SMART AND READ THE NOTES. 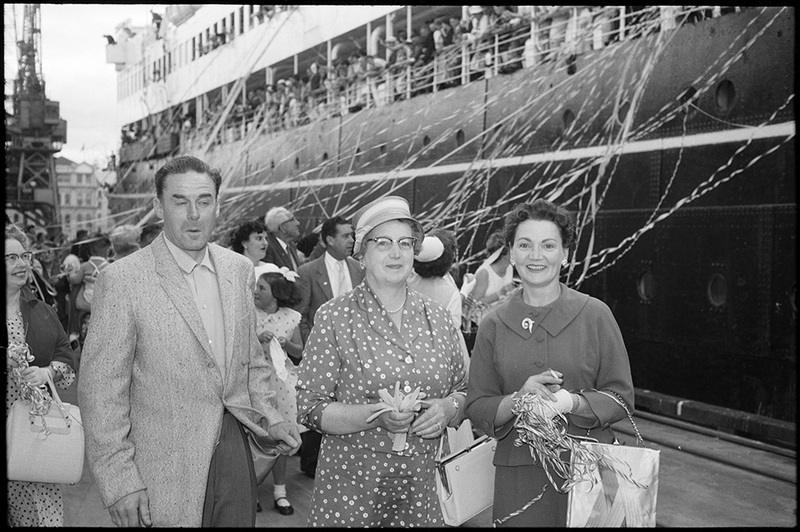 Many official passenger lists are held by the government department, Archives New Zealand. Previously only accessible through (Wellington-based) card indexes, these are now being digitised in a joint project with the Latter Day Saints' FamilySearch.org. This is an ongoing project so you may need to keep checking for your family names till you get a hit, but when you do, you will be able to obtain (without charge) an image of the original passenger list. You can also look at Find My Past, available free to use at any of our 55 Auckland Libraries or via our website. Not all websites offering passenger lists are run by government departments or institutions. There are also many individuals out there who run free websites where they offer transcriptions of passenger lists as a goodwill contribution to the family history research community. There are too many to give an exhaustive list here, but a few of my favourites are Denise and Peter's Our Stuff; New Zealand Yesteryears and New Zealand Bound. And one last word. If you still can't find that elusive record, do not despair. More and more material is being made available on the Internet as time goes by. That breakthrough may be just around the corner! Follow the steps in the Auckland Libraries family history research guide for more tips and tricks.